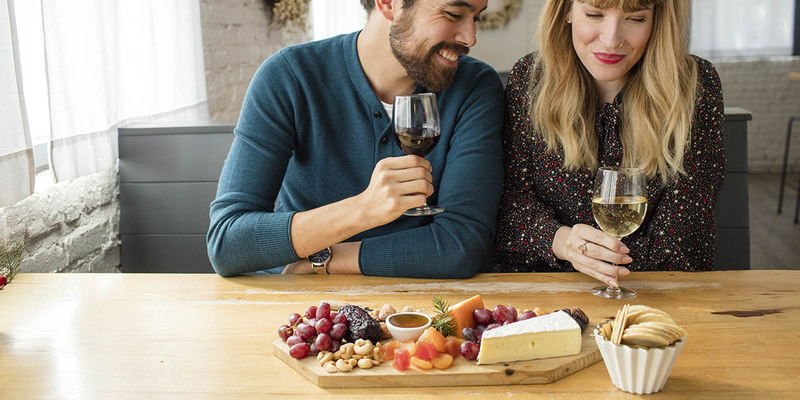 Wine and cheese go together like… well, wine and cheese! They’re the perfect culinary complements to one another, whether it’s a pecorino matched with a chianti or an 8-month gouda alongside a pinot gris. Add in a few grapes, crackers, Marcona almonds, and some quince paste, and you’ve got yourself a proper cheese plate. It turns out that your DNA can influence how you taste certain foods and drinks. (You can probably figure out where we’re going with this!) Vinome, located in the heart of California wine country, developed Wine Explorer to combine genetic insights with a survey of your taste preferences to recommend great wines that are uniquely tailored to you. Don’t just bring out a good bottle of wine—bring out a bottle that has your DNA’s seal of approval. Food Sensitivity+ from EverlyWell tests your sensitivity to over 90 foods in addition to providing genetic insights into lactose intolerance, caffeine metabolism, and more. Among those 90+ foods are milk, yogurt, and three types of cheese, which makes it perfect for planning your plate. You’ll discover how certain foods in your diet might trigger an immune response that may lead to unpleasant symptoms, and how eliminating those items from your diet may help reduce those symptoms. If you’re gathering with friends to help polish off that wine and cheese, you’d better come prepared with small talk. Here’s a dynamite conversation starter for you: Insitome Metabolism, which uses your DNA to help you explore how your ancestors’ lifestyles may influence you today. Speaking of cheese, you’ll discover the relationship between lactose tolerance and the domestication of cattle thousands of years ago.